Though small and seemingly simple organisms, bacteria are equipped with effective, multifaceted immune systems. When foreign bodies attack, the molecular militia that comprises our immune system goes to war. In the chaos of battle, this cavalry must be careful to not to fire on its own soldiers; and organisms ranging from humans to bacteria have evolved special mechanisms to avoid this type of mix-up. A new study from Rockefeller scientists describes one strategy by which bacteria discriminate between their own troops and malicious invaders, such as viruses. The study, published in Molecular Cell, shows that the protein Cas10 is usually harmless, but transforms into an enzymatic assassin when confronted with foreign genetic material. One way that bacteria protect themselves is through the use of CRISPRs, or clustered regularly interspaced short palindromic repeats, and associated Cas proteins. These systems not only fend off pathogens, but also memorize them: when a bacterium is attacked, it copies and stores a section of the invader’s DNA. This genetic sequence, called a spacer, helps the bacterium identify the invader next time it strikes. Once a trespasser is detected, Cas enzymes dissolve its DNA. Liu’s enthusiasm for Type III emerged following conversations with Professor Luciano Marraffini, whose lab is devoted to understanding CRISPR-Cas systems. In 2017, Marraffini and his colleagues showed that Type III systems have the unique ability to target not just a single invader sequence, but variations on a genetic theme. This means that even if a virus mutates, CRISPR-Cas can still identify and destroy its DNA. Compared to enzymes in other CRISPR types, Cas10 fires at relatively wide variety of targets; yet, it manages to avoid harming a bacteria’s own DNA. How, Liu wondered, do type III complexes discriminate between self and other? Working with Marraffini and postdoctoral fellow Ling Wang, Liu set out to better understand how Cas10 interacts with different kinds of RNA. They analyzed the enzyme’s dynamics using single-molecule fluorescence microscopy, a technique that allows researchers to track molecular changes over time. The researchers found that when Cas10 was exposed to an invader’s RNA, the enzyme’s structure took on new shapes. And, Liu says, as Cas10 cycles through various conformations, it intermittently enters active states, which imbue the enzyme with DNA-dissolving powers. By contrast, when then Cas10 encountered “self” RNA, the enzyme became locked in an inactive position, which prohibited any dicing and slicing of DNA. These results, says Liu, explain how type III systems avoid self-destructive behavior. The researchers also found that when Cas10 was exposed to mutated enemy RNA, the enzyme could bend into only a limited number active shapes. And as the malleability of Cas10 decreased, so did the strength of the bacterium’s immune response. These findings suggest that a robust immune response depends on Cas10’s ability to move around: When the enzyme can shimmy freely, it spends more time in an active state, and thus more time degrading dangerous DNA. Still, Liu notes, even when the enzyme loses some of its flexibility, it does not entirely forfeit its ability to injure invaders. This study helps to explain the unique targeting strategies of type III systems, and contributes to ongoing efforts to understand how CRISPR-Cas immunity affects the evolution of bacteria. 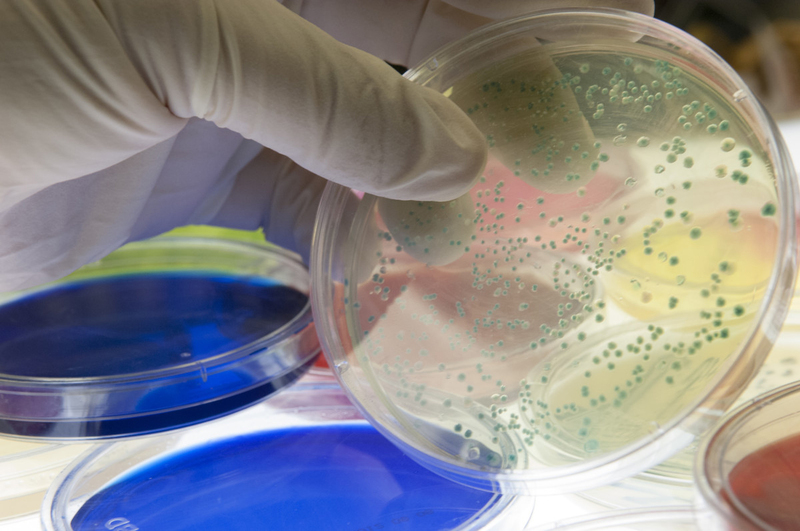 Bacteria use a multifaceted immune response to get rid of invading DNA. In a new study, researchers identify an enzyme that can destroy foreign genetic material capable of evading a microbe’s first line of defense. Scientists found that a system called CRISPR-Cas10 can target rapidly mutating viruses. The prestigious award honors Marraffini and four other scientists for development of the revolutionary genome-editing system known as CRISPR-Cas9.